Hello I am Andrew DeMello and I am 19 years old. I was diagnosed with Kabuki when I was 11. At first I did not know what to expect, but when I talked to my doctor he reassured me and made me feel better. I have many problems that associate with Kabuki. I have many mental and physical problems that have affected me throughout my life. I have ADHD, OCD, Tourrettes and depression. I have some physical problems that affect me every day. I have problems with my knees. They hurt sometimes. Because of this I can not stand for too long, or walk for too long. But I get buy. Another problem I have is a math disability. It is hard for me to fully comprehend math. But I get buy with that too. When I found out I had Kabuki it really confused me and I did not know what to do. I learned of all the things it could do to me and I got them checked out. My mom was asked if I should participate in a research but she said no. This was only 20 years since it had been discovered, So that is why they asked if I could participate. My mom has now told me that she wishes she said yes, but we can not change anything now. 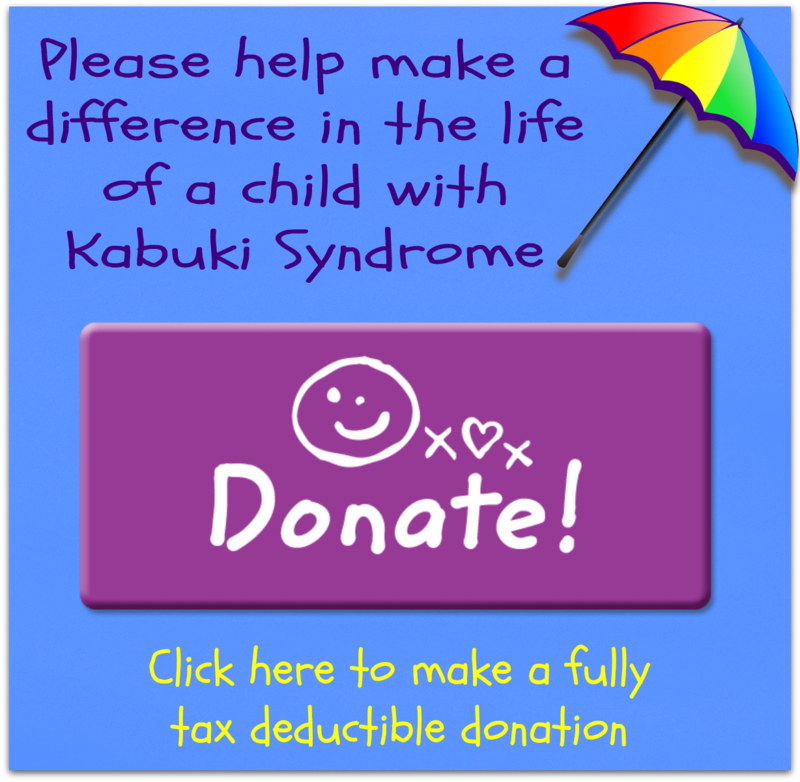 Anyway Kabuki has changed my life, when I was first diagnosed I went to Boston Children's Hospital in Massachusetts, United States. When I was there they told me that I should take some growth hormone shots because I would be short if I did not, so my mom agreed. I think that it only lasted a month and now I am about 5' 5". I believe I would be about 4' 8" or so. I don't think that would make a huge difference if I was. I was also really skinny and the shots helped with that too. I was around 50 - 60 pounds. I am now around 190 pounds, which is better but a little too big. Anyway other aspects of my life are well. I graduated from high school last June. June 6th 2009. I am now in a local collage called Greenfield Community Collage. I am taking Reading and Math. These are classes you must take before you can take a major. The major I would like to take is Fire Science. I want to take this major because I wish to become a fireman someday. It has been something I have wanted to do ever since I was little. It may sound funny but when ever I heard a siren I would go running to a window in the hopes of seeing it pass by, I still do that sometimes. HA-HA. I am very much like a regular person, I like to watch Television and play video games and hang out with friends. I have many favorites that I like to watch, such as Family Guy, South Park, American Dad, Scrubs and many more. There are way to many things to list. Another thing I like to do is read and write. I have begun novels and books in the past but I have not completed them. I always get distracted and do something else. There's my ADHD for you. ha-ha. Well this is the basic out line of my life. I am happy to have told everyone about it.